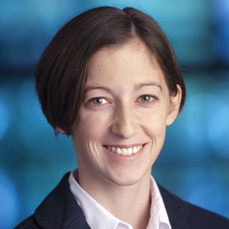 The Network Architecture of Human Thought: Danielle Bassett is the Skirkanich Assistant Professor of Innovation in the Department of Bioengineering at the University of Pennsylvania. Abstract: Human thought is predicated on a complex architecture of interconnections that enable information transmission between distinct areas of the brain. Yet gaining a fundamental understanding of this architecture has remained challenging, largely due to insufficiencies in traditional imaging techniques and analytical tools. In concerted efforts to address these challenges, neuroscientists have begun to combine recent breakthroughs in non-invasive brain imaging techniques with the conceptual notions and mathematical tools of network science– leading to the emerging field of network neuroscience. This talk will highlight early successes in this field leading to fundamental understanding of healthy human thought, its development over childhood, and its alteration in psychiatric disease and neurological disorders. The talk will close by commenting on current frontiers and future potential in health care, business, and education sectors.